Tino's Italian Sweets and Treats. Located in Downtown Norman, there are large televisions and small plus an incredible menu of sandwiches, appetizers, sweets and Italian ice. Another Downtown option would be Das Boot Camp. Multiple television screens plus beer in a glass boot and cheese curds makes for an enjoyable experience. O'Connell's Irish Pub and Grille. For decades, O'Connell's has been a part of the Sooner experience for home and away games with a menu full of burgers, beers and other pub fare. Sooner Legends. Sooner Legends just recently reopened its bar. Surround yourself in crimson and cream and Sooner memorabilia while you watch the game. Pub W. Pub W features huge television screens in every direction, whether you are at a table or bellied up to the bar. The pretzels and cheese are a favorite. Land Run Grill/Penny Hill Subs. 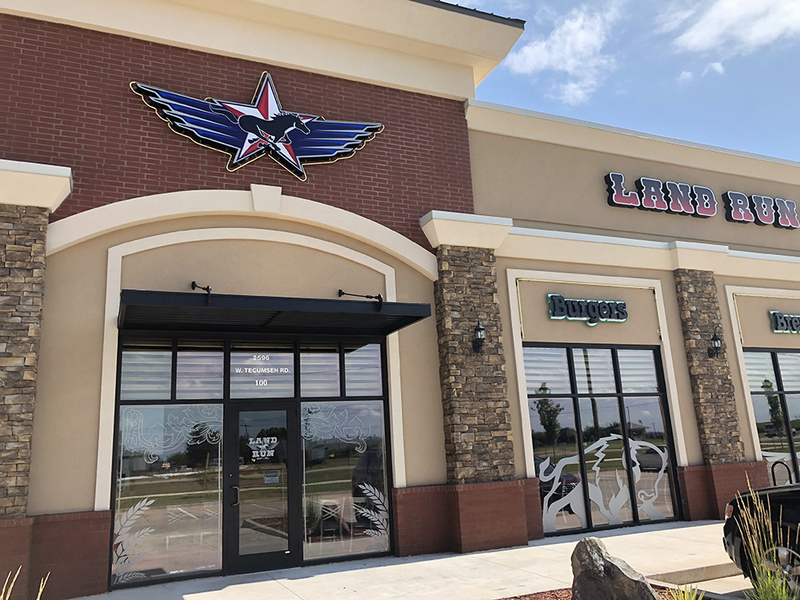 Whether you are at the Land Run Grill on East Lindsey or West Tecumseh, Land Run Grill is a great place to gather inside or outside to watch the action while you sip a drink and bite into a sandwich. Penny Hill Subs has the same owners and the same great experience.